How do tags work in productboard? Are note tags and feature tags related? No, tags on the Insights board and Features board are separate. 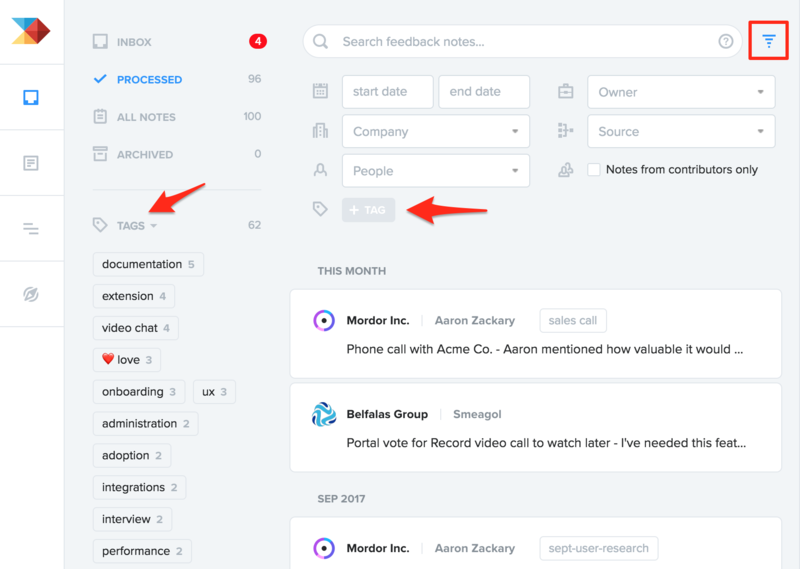 On the Insights board, tags can be added to notes or to the individual highlighted insights within them. Either way, you can filter by tag via the advanced search options or by using the tag cloud at left. Tags on Intercom and Zendesk conversations are automatically imported to the Insights board when new conversations/tickets arrive in productboard. On the Features board, you can show the Tag column (Column config bar > MISC. > Tags) and use it to filter your board for features with certain tags. 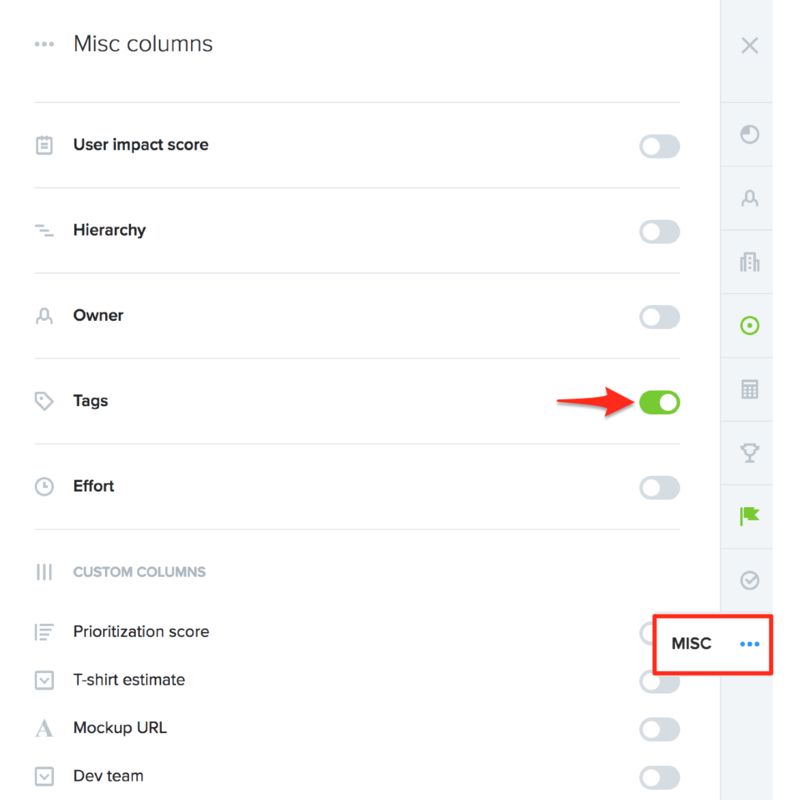 This set of tags is distinct from the tags on your Insights board. It is not yet possible to filter your Features board based on tags that have been applied to the insights linked to them. When you push features from productboard to JIRA, Trello, or Pivotal Tracker, your feature tags in productboard will not carry over to those other tools. When pushing features to GitHub, you have the option of syncing productboard tags to GitHub labels. productboard's tags are case insensitive. If you apply a tag to some note/feature that is identical to an existing tag (apart from capitalization), productboard will adhere to the capitalization of the existing tag. 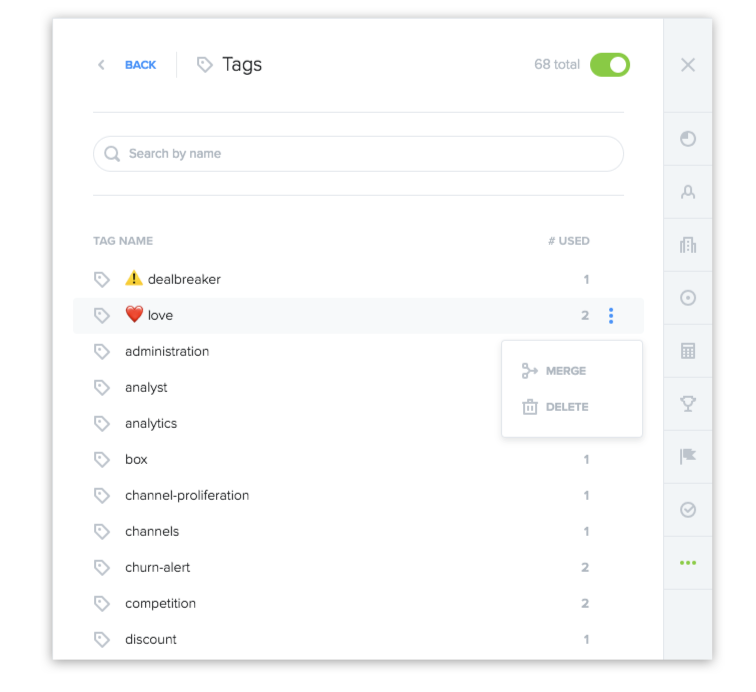 You can delete, rename, and merge tags on both the Insights and Features boards. Here you'll see the list of all note and feature tags. To rename a tag, select its name to edit it.